We've reached the halfway point of the SuperPhillip Central Best of 2011 Awards, but there are still a lot of awards to go out to many deserving games. What is on today's docket? Well, we'll be running and jumping with Best Platformer, flexing our mental muscle with Best Puzzler, awarding the Developer of the Year, and looking into the all-important Multiplatform Game of the Year. Take your seats, ladies and gentlemen, as the curtain for today's show is going up! After the brilliant pair of Super Mario Galaxy games, Nintendo focused their efforts on creating a 3D Mario that wouldn't intimidate the average gamer. So what did they do? They created a 3D Mario that resembled a 2D one. Borrowing elements from Super Mario Bros. as well as past 3D Mario games, the end result is one of the main reasons to pick up a Nintendo 3DS. Nintendo is the house that Mario built, and they constantly turn to the portly plumber to pick up the pace for when their platforms aren't doing the greatest. Using the bubble mechanic that was made famous in New Super Mario Bros. Wii, Rayman Origins also allows up to four players to run, jump, and slap one another senseless through over sixty levels of ever-increasingly challenging platform goodness. Michael Ancel's creation has never looked this sensational before, and it is a lowdown shame that more people didn't get the chance to experience this game firsthand. Just goes to show you that it don't mean a thing if it ain't got that Mario-themed swing. Kirby's Return to Dreamland refers to his return to form after being split up into ten Kirbys and helping out Prince Fluff in Patch Land in the excellent but not quite Kirby Kirby's Epic Yarn. Return to Dream Land, like Rayman Origins, also enables up to three additional players to join in and drop out at any time, either as Waddle Dee, King Dedede, Metaknight, or a different colored Kirby. The many levels hide Energy Spheres used to unlock sub-games, copy rooms, and challenge rooms where all of your skills are put to the extreme test to earn the highest possible score within the time limit. 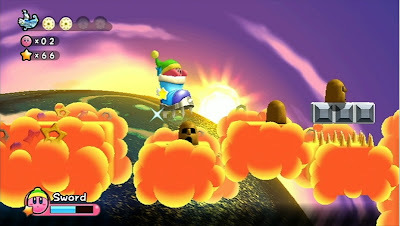 For a game that anyone can enjoy, Kirby's Return to Dreamland is the game to digest. Xbox Live Arcade is no stranger to quality downloadable titles. In fact, it is quite the place to get your fix of some of the most superb original and indie games around. Ms. 'Splosion Man, the sequel to 'Splosion Man, born from a champagne spill of sorts introduces players to fifty solo missions, fifty cooperative multiplayer levels, ghost replays, bonus additions to the game's various maps, a plethora of unlockables, and enough explosions to make the Fourth of July look like child's play. My favorite arcade title of the year, Ms. 'Splosion Man is yet another fine XBLA game from developer Twisted Pixel. Run, jump, and smack your buds as Sackboy (or Sackgirl) in this tremendous upgrade from the original LittleBigPlanet. Armed with a more captivating campaign, more creative levels with just enough platforming difficulty for both platform novices and platforms experts to enjoy, and the ability to create and craft your own masterful levels, LittleBigPlanet 2 is a platforming fan's dream come true. Some may dislike the floaty jumping and multi-tier levels, but that's their problem as this planet is worth getting populated. Mario knocks another one out of the park with his latest 3D platforming tour de force. The addition of actually being able to judge the depth between jumps by other means than watching shadows through the stereoscopic 3D gameplay is amazing. Just when you think you're done with the game, Nintendo pulls out eight more special worlds of difficult levels for you to jump into. 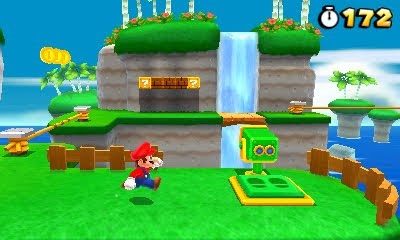 A new mainline Mario game is always an event, and Super Mario 3D Land continues that fine upstanding tradition. Many might have forgotten entirely about this game as it was released in early January, but not SuperPhillip. No, no, no. Capcom's Ghost Detective takes logic puzzles to a whole new dimension-- the afterlife-- with players using their brains to manipulate and possess objects as a ghost to solve crazy and zany puzzle scenarios. It is a puzzle game unlike anything ever seen before, and wouldn't you happen to know that it was designed by the same team behind the Phoenix Wright games? 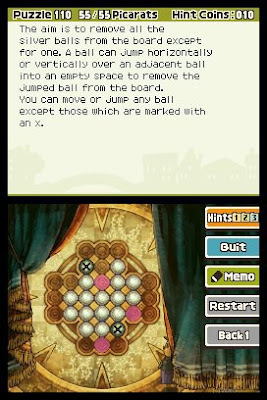 Released at the end of the Nintendo DS's life cycle, Professor Layton and the Last Specter is a prequel to the original trilogy of puzzle games. It introduces Layton and Luke to one another and a mountainside village plagued with a mysterious monster that comes out at night in deep fog and terrorizes the town. With more puzzles than ever before to solve as the story progresses, new mini-games like Luke's train, and a creative cast of characters, Professor Layton's latest will have you playing long after you've solved the mystery of the specter. 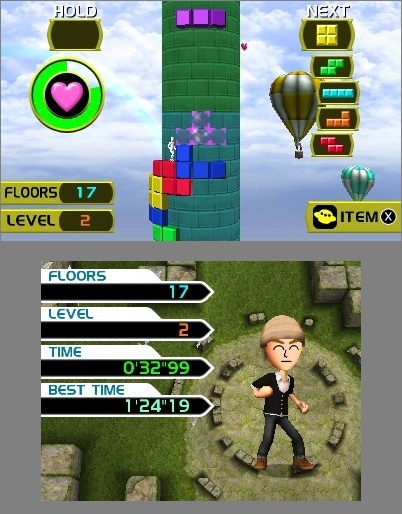 Tetris is the paramount puzzler, and the 3DS version sports the most modes out of any Tetris game before it. There's Marathon, Fever, Survival, Jigsaw, Shadow Wide, Fit, Tower Climber, Capture, Master Mode, and more along with two augmented reality-exclusive modes. When offline play is deemed as too trying, go online against up to seven other players in online play. Published by Nintendo and developed by the now defunct Hudson Soft, Tetris Axis offers a lot of bang for one's buck. Known as Pullblox in PAL territories, Pushmo is the only downloadable title in the category, but man, I'd be lying if I said it wasn't completely consuming. The over 200 puzzles has you pushing and pulling blocks as you attempt to rescue the creature trapped on the top of the puzzle. 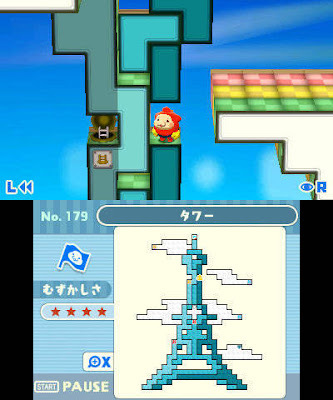 Some puzzles are a series of odd shapes strewn together while others are well-known Nintendo characters from games like Super Mario Bros. and Balloon Fight. Additionally there is the ability to create your own puzzles and share them with the masses via QR codes. For a cheap (in price) and entertaining puzzler, look no further than Pushmo. Who knew that pushing and pulling blocks could be so invigorating? With Pushmo the hours will fly by like minutes as you solve challenging Pushmo puzzles such as murals of fruits, vegetables, farm animals, among other objects. New elements gets introduced all of the time, and the difficulty increases at a steady rate. If a puzzle has got you beat, you can eventually skip it and move onto the next one. The bonus of creating your own puzzles improves the life of this downloadable delight sevenfold. Pushmo is without a doubt the best puzzle game of the year. Bravo to Intelligent Systems. Makers of the Uncharted franchise and the upcoming The Last of Us, Naughty Dog has once again astounded with its take on Indiana Jones in video game form with Nathan Drake's latest worldwide excursion in Uncharted 3: Drake's Deception. Naughty Dog definitely knows how to get the most out of the PlayStation 3 hardware, and it shows no doubt with the the intense action, awesome set pieces, and incredible special effects like explosions and motion blur. LittleBigPlanet was named 2008's Game of the Year right here on SuperPhillip Central. 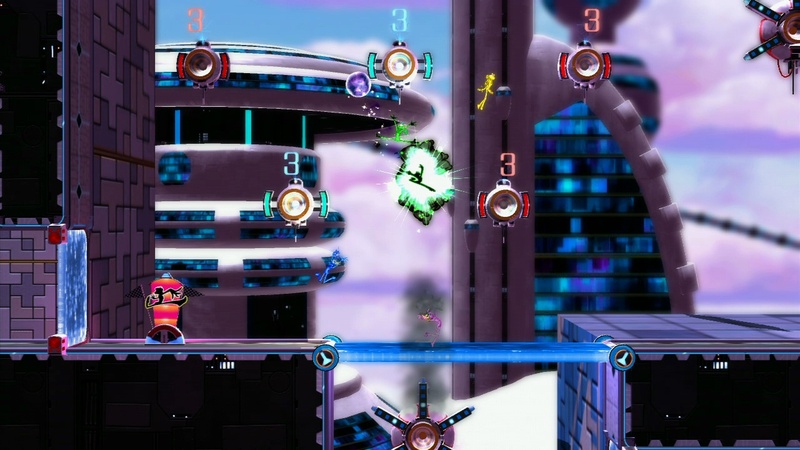 What made it such an engaging game was its ability to create virtually any platforming scenario you wanted. You were limited, however, in what you could do, though. With LittleBigPlanet 2 the gloves came off, the options were opened up, and all types of games could be created-- not just platformers. 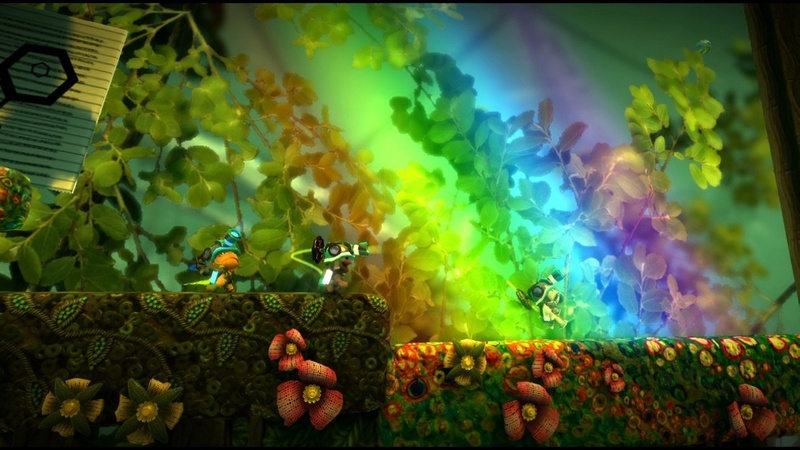 In addition to that you could move your LBP profile to the second game with no error. It just amazes me how much content Media Molecule put into LittleBigPlanet 2. For such a before unknown developer, this turnaround is something special indeed. A traditional and annual pick for Developer of the Year, Nintendo EAD is split up between multiple teams. Teams or not, they have developed, crafted, and created some of the bar-none best games of the year along with other titles such as The Legend of Zelda: Skyward Sword, Super Mario 3D Land, Star Fox 64 3D, The Legend of Zelda: Ocarina of Time 3D, Mario Kart 7, and all three editions of nintendogs + cats. Nintendo EAD were quite busy this year, and yet the quality of their games has not diminished one bit. If you were to ask me if Epic Games should have been nominated the year of Gears of War 2 and I had a glass full of water in my mouth, I would have performed a Danny Thomas-styled spit take. The game was buggy, full of glitches, and virtually unplayable. Fortunately for us, the consumer, Epic Games turned things around with the third installment of Gears, and made a surprisingly great game out of it. Their Unreal Engine 3 is still used by the majority of Western developers such as the next contender for the category, and their DLC support for Gears of War 3 is still going strong. Batman: Arkham Asylum stunned the world with its sensational gameplay, sublime presentation and budget, and Metroid-ish gameplay. 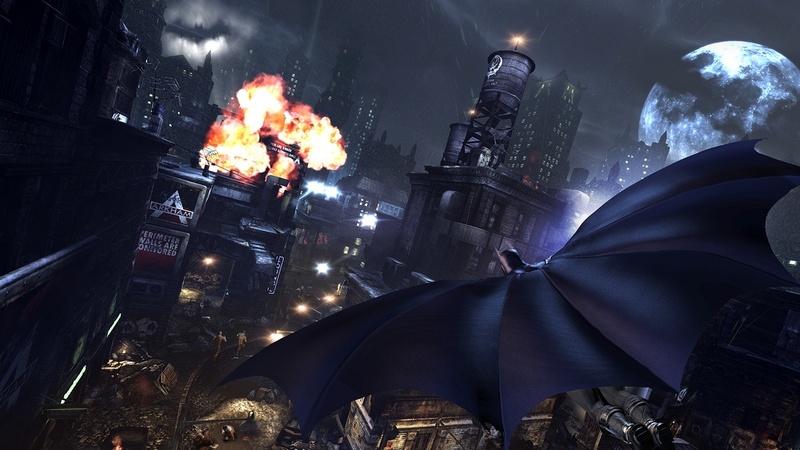 Batman: Arkham City brings with it the dark knight's rogue's gallery of villains, a full city to explore from industrial areas to flooded city streets, and enough gadgets to make Inspector Gadget wish he was the damn Batman. Rocksteady Studios once again rocks my world with another stellar game that is far grander in scope than Asylum. With more manpower than the other companies, that means more games. Perhaps it's cheating that Nintendo EAD is actually on this list, but regardless, they are without any inquiries the ultimate game developers of 2011. Just look at the aforementioned list of games they pushed out this year, and you, too, will be in a state of astonishment. They've spoiled us, really, and next year looks to be even better. 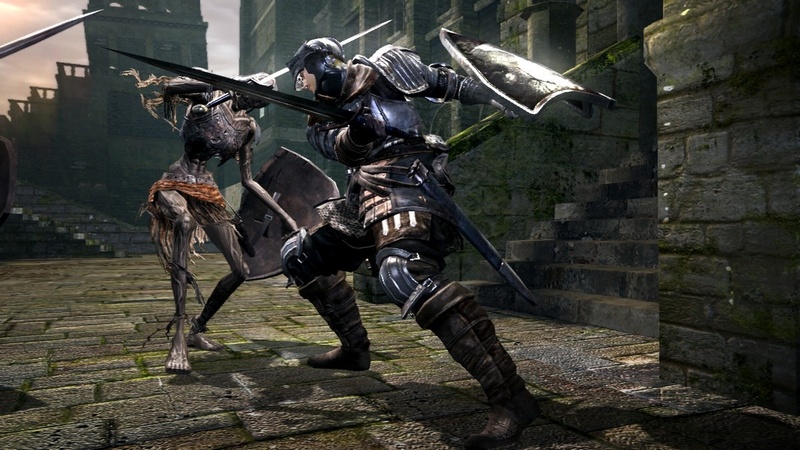 Surpassing Demon's Souls, Dark Souls is an immensely challenging game full of dark demons, knights, swordplay, and magic. The combat is entirely weapon-based, and every enemy encounter is a fear onto itself. You dread what is around the next corner as you explore dark and dank dungeons, discover treasure, and defeat dastardly foes with only one intention-- your demise! While admittedly not for the weak at heart, Dark Souls does an admirable job of not only developing an astounding atmosphere, but also create true tension for the player. 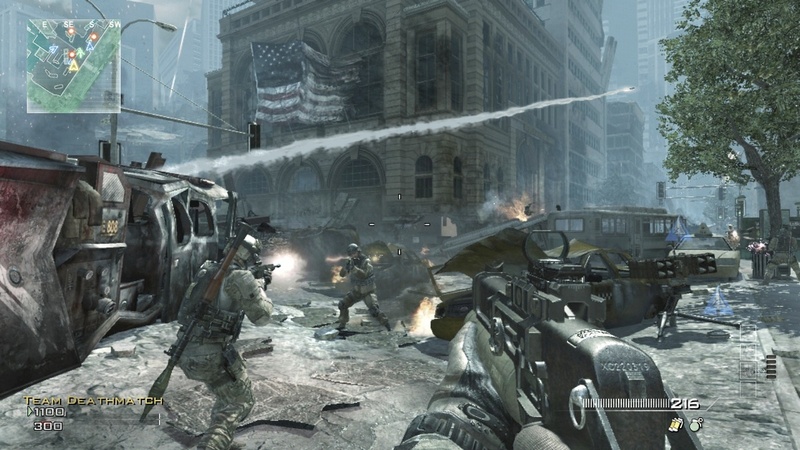 The Call of Duty is a sales juggernaut in the West, selling more copies than some countries' populations. It's for good reason as well as the games feature some intense action, realistic gun-play, interesting set pieces, and multiplayer that keeps the player coming back for more. Between Modern Warfare 3 and Battlefield 3, the military shooter market seems pretty saturated, but if you had to choose between the two, Modern Warfare 3 has got your back. Just watch out for errant grenades! This is an unusual situation. There is a Sonic game nominated for Multiplatform Game of the Year. How bizarre. 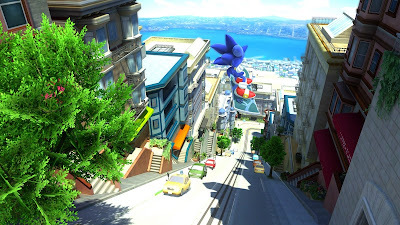 Anyway, the blue blur returns after the success that was Sonic Colors with Sonic Generations, a two part game. One part has you playing in 2D as Classic Sonic while the other has you moving and grooving in both 3D and 2D sections as Modern Sonic with all the moves he has acquired over the years. This includes the stomp, the light dash, and the slide. Play through nine zones (three from each era) like Green Hill, Sky Sanctuary, Speed Highway, Seaside Hill, Rooftop Run, and Planet Wisp in this radical return to form for Sonic. You've deserved it, hedgehog, after all of these years. What do you get when you take heroes and villains from both the Marvel Comics and Capcom universes, throw them together, and make them fight one another? You get Marvel VS. Capcom 3: Fate of Two Worlds, but Capcom wanted more money so they made Ultimate Marvel VS. Capcom 3. 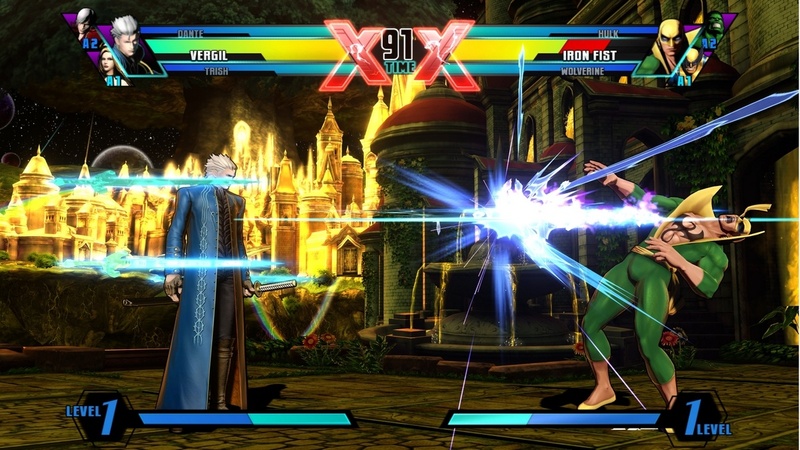 Regardless, with new modes, new as well as nerfed characters (nah-nah, Phoenix), and the ability to spectate online matches, Ultimate Marvel VS. Capcom 3 is the game the vanilla version of the game should have been to begin with. Well, at least this one is only forty dollars! After the calamity of Catwoman and Robin codes not showing up in purchased new copies of the game, the smoke has cleared and we can look back on this game, Batman: Arkham City, one of the best superhero games in the industry's relatively short history. Being Batman never made anyone feel as much of a badass as you took down thugs, goons, and other slime of the earth, solved Riddler puzzles, solved cases concerning serial killers and sharpshooters, and met a cavalcade of Batman's most feared villains like the Joker, Penguin, Two-Face, and Mr. Freeze. The bat is back, and he has never been this good. Enter Michael Ancel's weird and wacky world in Rayman Origins. 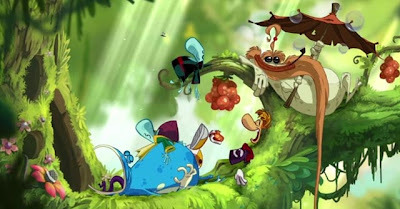 Play as Rayman or one of three other characters in local multiplayer action. Cooperate or slap one another silly-- the choice is ultimately yours. No matter your decision your jaw will drop at the scenery, the colors (oh, the colors! 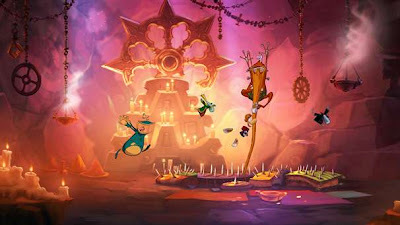 ), the fast and fierce gameplay, the zany backgrounds and hand-drawn everything, and the kooky cast of crazy characters. Rayman Origins is a compendium of Rayman's best work laid out in the form of one original game. Do yourself a favor and nab a copy today. 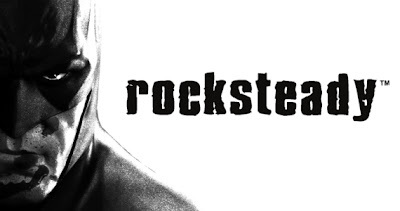 Rocksteady Studios blows the doors off the joint with Arkham City. Playing as Batman feels like you'd expect the dark knight to control. From the seamless controls to the agile and fluid combat system, there is no Batman game that has ever played better. Exploring Arkham City, taking down small time thugs and more important villains, and upgrading your gear to become the ultimate nighttime superhero are all magnificent accomplishes that Rocksteady can be absolutely positively proud of. Day three of the SPC Best of 2011 Awards has now officially concluded. Do you like my picks thus far? Perhaps one of your favorites has been blacklisted? Put down your thoughts to type in the comments section to be read by myself and the entire SuperPhillip Central community. Good piece there, some interesting choices! I wouldn't necessarily agree with you with all of them, but I can certainly see where you're coming from. 2011 has been a great year for games. It will be interesting to see how 2012 shapes up.